While looking around for a new laptop, I was decided on the 13-inch MacBook Pro. Thinking that I could save some money by buying a second hand one, I looked around HardwareZone's forum. I was surprised that the value of the MacBook Pro and Air stood up well against the test of time. 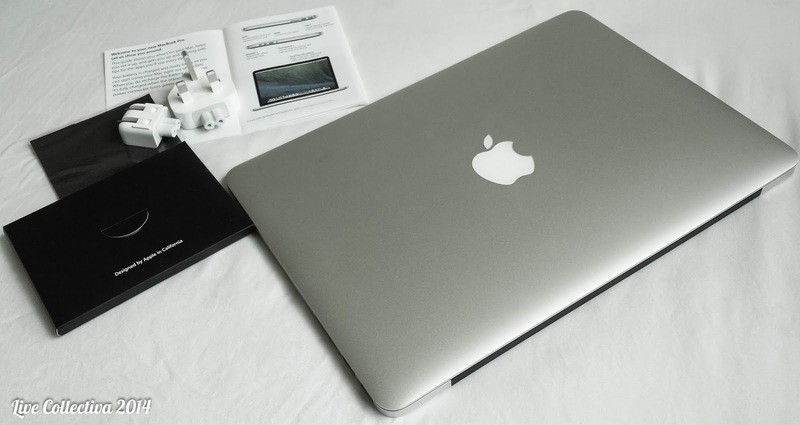 Even the two-years old MacBooks were selling for a thousand dollars. That was when I chanced upon the refurbished section of the Apple Store. After some research and calculations, I decided to go for it. There are reasons why you want to avoid a MacBook so let's talk about the negatives first. The latest MacBook is not repairable or upgradable on your own. You cannot upgrade to higher capacity memory because the memory modules are soldered to logic board. The SSD is a piece of custom-shaped PCIe hardware. You cannot stick in any off-the-shelf HDD or mSata SSD. The battery is glued to case so forgetting about spare battery pack. The internal components are locked down under the bottom shell with pentalobe screws like the nails in a coffin. Apple clearly doesn't not want you to open this up ever. 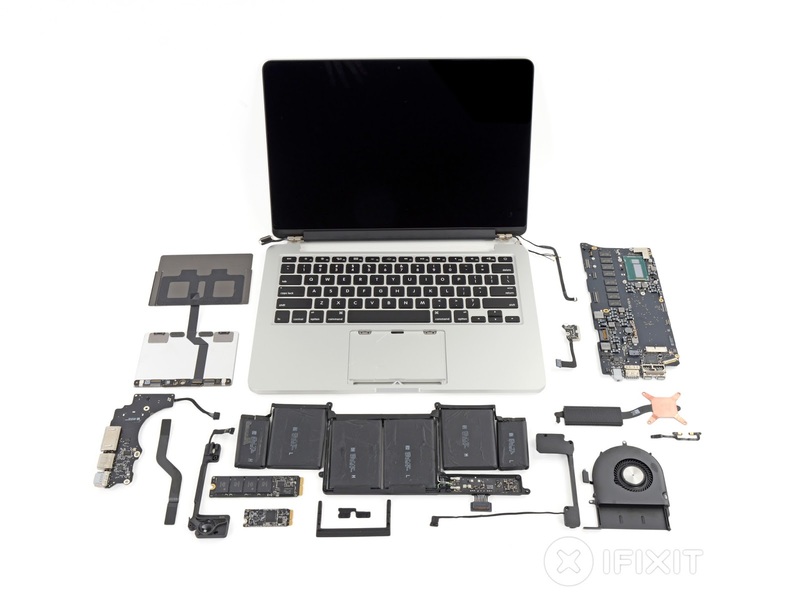 The guys at iFixit took apart the MacBook Pro and gave it repairability score of 1 out of 10. Better buy AppleCare for your MacBook Pro or pray that yours have a long life. If you cannot upgrade the components on your own, it means any performance upgrades need to be done at the time of purchase. The 13-inch MacBook Pro (late 2013) starts at S$1788 for 4gb memory and 128gb SSD. This specification will meet your basic browsing needs. This specification was able to meet my software development needs where I have a web server, IDE, browser, Photoshop and Spotify all running at once. When I looked at the refurbished section, this entry level late-2013 model was going for $1518. That was a $270 difference or 15% off. I know that Apple has strict control over the price of their product as I have not seen them offer any discount before. 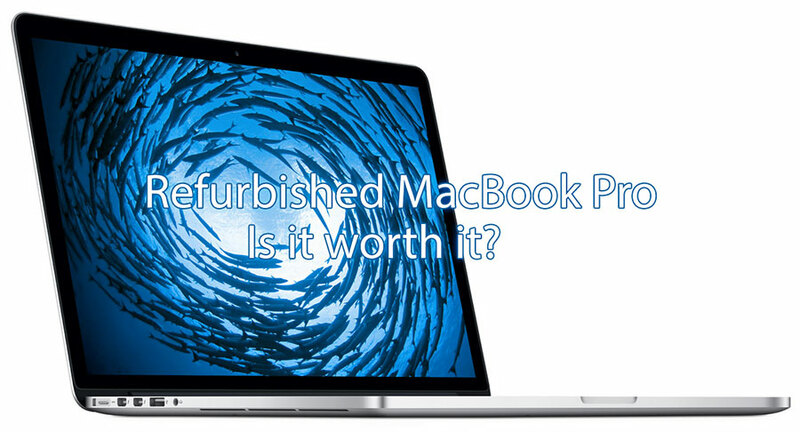 When it comes to refurbished MacBook, what you see is what you get. There is no upgrade option. Apple offers a 14 days return policy even for refurbished products. If the refurbished item is not up to your expectation, you can fill out a return form online. The DHL guy will collect the item from you and your money is refunded back to your credit card. To top it off, it comes with the standard 1 year warranty like a brand new box set. Searching online, I read the experiences of others who bought refurbished. For the bad items, Apple honoured the 14 days return policy. With this boost of confidence, I swiped my Manhattan credit card on at the Apple's store. The box is so plain, that no one knows what's inside. Although the item was slated for delivery was 4 business days later in the email, the actual delivery by DHL was next day. I love DHL: they always surprise me with their delivery speed. 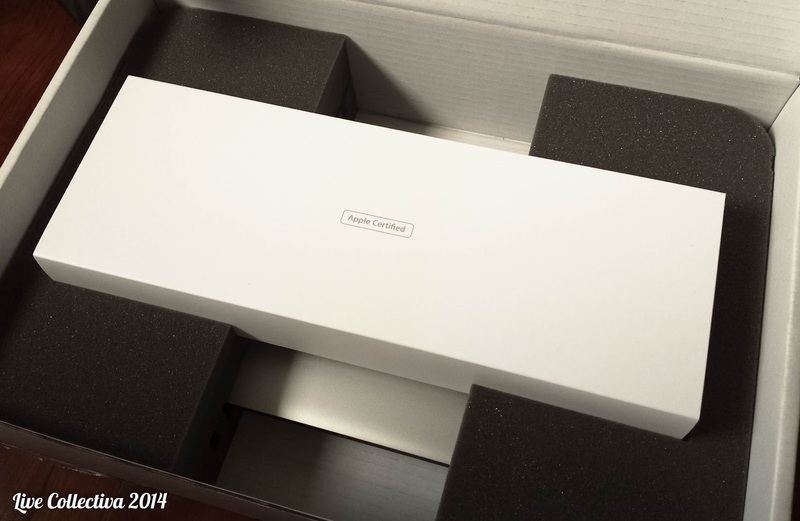 The MacBook Pro came in a big white box. 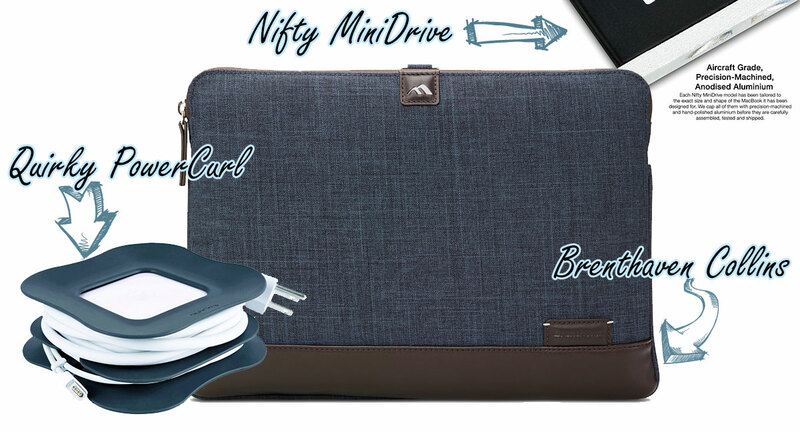 This is in contrast with the retail package with colored picture of the MacBook and comes with a handle. While the box looks cheap, the content is not. Opening up the box, there is two huge sponges at the sides and the MacBook is held in the center of the box by the sponges. This simple and ingenious design ensures that any bumps or low drop will not damage the MacBook. It's really the hallmark of Apple design: no detail is too small. Lifting the MacBook out, it was encased in plastic and sealed with Apple's sticker. Ripping the plastic off breaks the seal. Booting the MacBook up, I hear the familiar chime. I inspected the aluminium shell with a careful eye and I could see any dents and scratches. The keyboard and trackpad looks flawless. In fact, it's so new, the new electronics-silicon smell was wafting up my nose. Once into Mavericks, I checked the system info. The battery charge cycle was only at 4 counts which means this MacBook Pro is as good as brand new. Also, the accessories that came along with the set looks complete to me. There is a piece of cleaning cloth and different adaptor heads for when you are traveling. The next thing I did was getting Windows 7 installed because I am more comfortable with the software development tools in Windows. Using Boot Camp, I created the USB boot disk and installed Windows 7 under an hour. Upon booting into Windows 7 the first time, the UI and fonts were really small. At the native resolution (2560 x 1600) of the retina display, Windows 7 user interface couldn't scale up properly and appeared very tiny. After some trial and error, I found that my eyes were the most comfortable at the 1440 x 900 resolution with font scaling at 100%. Everybody's sweet spot will be different so tweak around to find out. It blows my mind to think that the number of pixels packed in this 13-inch screen is more than my 24-inch Dell monitor. The build quality of the MacBook Pro is top notch. The aluminium unibody feels solid with no flex. The glass trackpad is a joy to slide your fingers over. The technical specification between different laptops can be the same but the build quality is where the MacBook really shines. The only laptop design that I consider better than a MacBook will be the Lenovo Carbon X1. And that is a pricier choice. I researched into the different accessories that can enhance your MacBook Pro experience. These three are top on my list. Quirky PowerCurl helps you to curl up your power cord nicely for only USD $9.99. The 60W version is the one for 13-inch MacBook Pro. The Brenthaven Collins padded laptop sleeves to protect the MacBook Pro is USD $39.95. The denim fabric gives it a casual and fun feel. Lastly, the Nifty MiniDrive that lets you expands the storage space of your MacBook Pro for USD $39.99. It goes into the SD card slot and flushes along the side of the MacBook. The aluminium finish matches the MacBook Pro nicely although the price is a little high for me. As I am typing on my Macbook Pro right now, it has been three weeks since I bought it. The battery can power through 8 hours of non-stop typing sessions. Even though it was marked as refurbished set, my MacBook Pro was as good as brand new to me. I am not able to find any faults at all. I agree with others on the forums, it's a hit or miss on getting a good one. Even if it's a miss, you can returned it. My verdict is that you should go for a refurbished set first if there is one available in your country.